Home safety. What comes to mind when you think about that? My guess is moldy basements, fire extinguishers and alarms, and electrical outlets? Well, while those are all important aspects of home safety, what about your deck? Just like your roof, your deck should be annually maintained and inspected. Yet, according to the North American Deck and Railing Association (NADRA), only half of the existing 40 million decks are up to code, and roughly 20 million decks are more than 20 years old and could be unsafe. Is your deck code compliant? If, after reviewing the above checklist and thoroughly inspecting your deck, you have decided that your deck needs work or that you need a completely new deck then give Freedom Fence and Home a call! 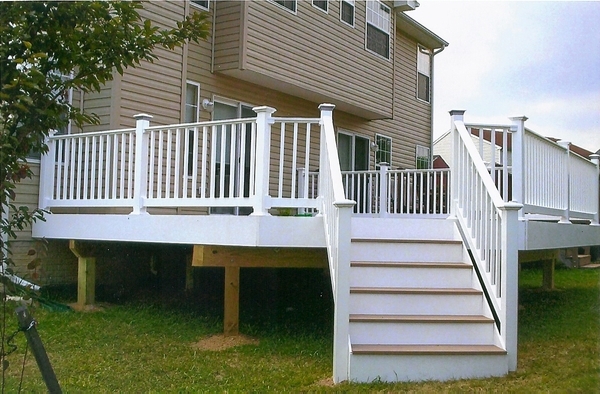 With over 40 years of experience, Freedom Fence and Home has provided the highest quality fence and decking materials to its many residential and commercial clients throughout in Baltimore, Maryland and Harford county as well many residential clients in Baltimore county and Baltimore city. So trust your next decking project to the deck experts at Freedom Fence and Home! Home Safety: Electrical, Appliances, Heating…and Decks? This entry was posted on Friday, August 16th, 2013	at 1:26 pm	. Both comments and pings are currently closed.